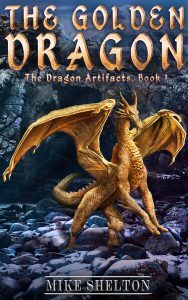 Mike Shelton is now releasing his fourth fantasy series. Ever since he can remember Mike has enjoyed reading all sorts of books, but has always been drawn mostly to fantasy. He loves their powerful magic, mighty kingdoms, good vs. evil, and young people finding their way in life. When Mike is not writing or reading he loves spending time with his family and enjoying the outdoors. The nearby waterfalls are his favorite. Mike has worked in corporate finance for over 25 years but has taken the last few years to finally do what he has always wanted to; write his stories and bring the magic to life.